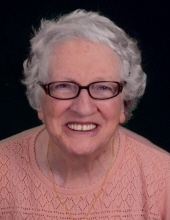 Mrs. Frances Colette O’Callaghan, 79, went to be with her Lord and Savior on Saturday, February 2, 2019. The Mass of Christian Burial will be held on Wednesday at 1 p.m. at St. Peter Catholic Church. Burial will follow in Homestead Memorial Gardens. Mrs. O’Callaghan, a native of Cork City Ireland, married the love of her life, the late Daniel Patrick O’Callaghan, in 1962 in Brooklyn, NY. They were married for 56 years. She was the first female boxing Judge in Ireland and also a champion Irish Dancer. In addition, she was an avid Carolina Hurricanes fan and member of St. Peter Catholic Church where she served as Eucharist minister. In addition to her husband, Mrs. O’Callaghan was preceded in death by her parents, Bill and Dolly Power. Brothers, Paul Power of Cork City, Ireland, and John Power, of England. The family will receive friends at Wilkerson Funeral Home Tuesday from 6 – 8 pm. In lieu of flowers memorial contributions may be made to St. Peter Catholic School, 2606 East Fifth Street, Greenville, NC 27858. To send flowers or a remembrance gift to the family of Frances Colette O'Callaghan, please visit our Tribute Store. "Email Address" would like to share the life celebration of Frances Colette O'Callaghan. Click on the "link" to go to share a favorite memory or leave a condolence message for the family.